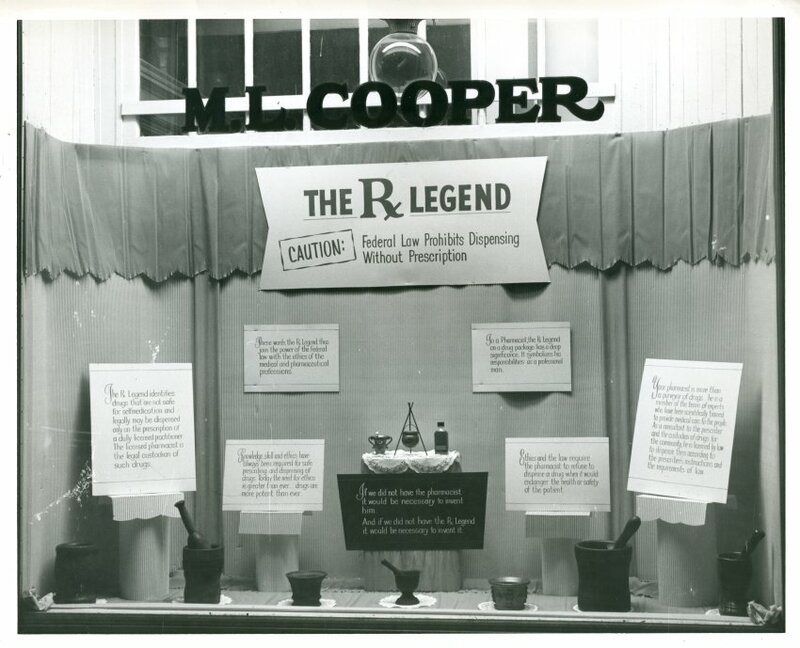 This window display from M. L. Cooper Pharmacy educates the public about legend drugs. Legend drugs, or prescription drugs, always bear the label, “Caution: Federal Law Prohibits Dispensing Without Prescription.” In 1938, the realization that some drugs were only safe to take under medical supervision led to the nationwide implementation of legend drugs. By 1941, the FDA had identified at least 20 types of drugs that could only be bought with a prescription.